There were no Shadows upon the desert, at least none that they had seen, and the cohorts were growing restless, their desire for blood growing stronger even as a lingering unease began to edge into their thoughts the farther into the desert they went. Would they lose themselves in this place, as so many had said before whenever an invasion of the desert had been proposed, whether at court or in a drinkery, chasing Shadows? The kehels and seconds merely repeated what their Gvers, who themselves were beginning to feel anxious about the entire enterprise, had told them: they were marching to the ruined city Esyln there to face the Shadow Men and their alkemysts. And what if they should find only ruins there, the men asked, and to that there was no answer. The answer, Donier thought as he relieved himself in the latrine dug the night before, was that the Council Adepts would decide the matter, letting the Gvers and the Qraul think the decision was theirs. That was how they had ended up here in the first place, after all. The Adepts would take them everyone to their doom all over a couple of engines. Donier spat when he was finished and clapped his hands together, a ritual begun sometime in his youth and now done unconsciously, though he could not have told anyone of its providence. He picked his way among the still-slumbering cohorts, going mostly by memory, dawn still a little way off, though there was a hint of light on the horizon. A false light, he knew; the sun would not arise for at least another hour. He had become used to the desert in the last week, now knew its rituals. There was the false light before morning, the endless sunsets that seemed to color the whole sky, the wind that would pick up late in the morning and die as evening settled in, to say nothing of the unrelenting heat of the day and surprising cool of the night. The vastness of it all, these endless landscapes, red rocked or dull green, fading to brown with scrub, and the scent of sage everywhere. It was the place of his dreams, he realized. It all had the same feel, the same absence of any other living things, and the silence but for the wind. The valley where he had walked endlessly he felt certain was here somewhere, though he had no urge to discover it and the destination he had been seeking. The Gods, though, would decide the matter, he knew. He could only thank them that the dreams had absented themselves since the march into the desert had begun. Luisa is always more than she appears. Rumor and mystery surround her. And strange events seem to follow wherever she goes. Born in Lima, City of Kings, to a noble family, her father so fears her true nature that he banishes her to a convent. There she falls under the suspicion of the Inquisition and decides to flee. How can a young woman hope to hide herself in colonial Peru, where honor is prized above all else? By adopting whatever masks respectability requires. It is only when someone is able to pierce the veil of her mask that the real danger begins. In a world where she will always stand apart, Luisa embarks on an adventure, marked by betrayal and murder, terrible powers and mysterious strangers. 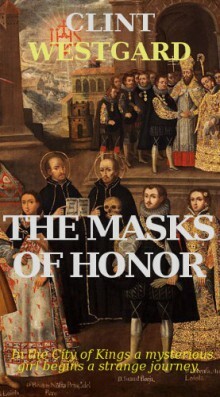 The Masks of Honor is her incredible confession and a story like no other. When I slipped out of my room it was deep in the night, well past second sleep, when not an honorable soul could be expected to be about in the world. I was at one with the shadows as I moved through Don Francisco’s hallways, going from room to room, verifying again that all were empty of inhabitants. As I inspected what were ostensibly the servants’ quarters more closely than I had the previous night, I was convinced that no soul ever lay their head upon those rough pillows. When I had satisfied myself that the house was empty, I turned to the grounds, scouring the stable where Don Francisco kept his horses, along with a few pigs and some cattle, finding no sign of anyone there either. I returned to the house, convinced that I must have overlooked something there. A dozen Indians and a Castilian could not simply vanish into the air, even if the man was an alchemist, as he claimed. I retraced my earlier steps within, this time going slowly so that I could feel at the seams of the place, here at the floor, there at a fireplace, trying to find some secret passageway. None appeared, until I came to what appeared to be a newer addition to the house attached to the kitchens, which I had only glanced at on my earlier journey. At its far end, near where the entrance to the cellar was, there was an empty space, absent of purpose. I went to it immediately, crouching down to run my hands along the floor, and was rewarded with the discovery of a trapdoor. I pulled it up and saw some wooden stairs descending into the inky blackness below. After checking to ensure that the door would not lock behind me, I went below. The darkness was near absolute, but I have always been at ease in the dark. When I came to the bottom of the stairs I could discern a pathway, carved from the earth and supported by timbers, as though it were the shaft of a mine. I half expected to be assaulted by the sound of pickaxes upon rocks and the searing stench of quicksilver, but the silence and the darkness held firm. I started forward, the smell of damp earth heavy in my nostrils, unease tickling at the hairs on my neck. The farther I went the farther I was from my only avenue of escape, and the damper my palms and the drier my throat became. I walked for what seemed like hours, though in all likelihood it was only a few interminable minutes, the silence playing on my thoughts until my imagination had filled my head with any number of fearsome and terrible sights that I was certain were about to be revealed to me. The passage narrowed as I went until it came to a turn—somewhere near the edge of the professor’s land, I reasoned—and after I had made the turn a dim light flickered into view at the end of this new tunnel. I slowed my approach, being careful to make absolutely no sound as I went, though I could hear nothing from the room where the light was. I crouched low as I came to the entrance and peered around the corner, my body pressed against the cold earth. Within I saw a cavern, ancient and wide, formed long ago by the vagaries of the earth. I paid little mind to this wonder, though, for a far stranger sight drew my attention: all the professor’s servants were arrayed in a circle upon the cavern floor, each of them with a vial attached to their arms. Studying them closely, I could see that these vials were being filled with blood dripping slowly from small punctures on the Indians’ wrists. At the center of this nefarious circle was a goblet that, I knew without looking, was filled with blood. I hissed at the sight of it, recalling the terrible rites the Stranger had been carrying out in the tombs of Cuzco. What foul necromancy was taking place here? I turned my attention to the poor Indians whose blood was being stolen, shaking the nearest to me to see if they were asleep. He did not rouse, and no breath seemed to pass from his lips. Had they somehow passed from the realm of the living and now inhabited some purgatory in this place? I was so engrossed in my study of the Indians, my own horror rising like bile in my throat, that I did not notice the shadows begin to move until it was too late. A firm blow struck my head and I fell to the ground and was lost to oblivion. When I awoke, the light in the cavern had gone out and the Indians had risen, only the goblet remaining at the center of the circle. I was at the far end of the cave, my wrists and ankles chained to some ancient stone lodged in the earth. I had no idea how long I had been unconscious, but I suspected it had been some time and that morning would be near. Would Diego be joining me soon, I wondered? As if in answer to my thought, he appeared, led by Don Francisco. I called to him but he gave no sign that he heard me, his face blank of thought and expression. A chill went down my spine at this sight, and my horror only grew as Don Francisco led the boy to where his Indians had so recently lain having their life force drained from them. He drew a thin knife from his belt that I could see was ornamented with oddly shaped runes, along with one of those fiendish vials of his. That he tied to Diego’s wrist, muttering some phrases in Latin, the knife poised in his hand. He pierced the boy on each wrist, one draining into the vial, the other left to open to feed the earth. Diego, you are not his, I called to him. You must resist him. Don Francisco laughed at my words. He is yours no longer, he said to me, leaving the boy and walking over to me, a malicious look in his eyes. Soon enough he will be mine, as docile as all the sheep in my flock. I spat on the ground at his feet, cursing his name. What of me, I said. Do you expect me to be transmuted into one of your automata? No, he said. Your kind does not respond well to my treatments. I have other plans for you. What are your plans for the boy and these others, I asked, my fury growing by the instant. Are they to be drained until they are husks. I thought you were educating them and turning them into Christians. Indeed I am, the professor insisted. Christians and good subjects. They are obedient and observant, not the slothful and ignorant sort like your boy here. He will learn his place in time. Christians? I laughed at him. What claim do you have to our true faith? What foul rite are you practicing here? Don Francisco looked at me scornfully. I am a philosopher and learned man and I will not have someone of your kind saying that I am not a Christian or a man. What you see here is no black rite, no foul magick, but a philosophic investigation into the most important alchemical secrets of our age. What I am collecting here is the divine quintessence of this land. This is the secret Magnus told Aquinas upon his deathbed, the secret to eternity itself. As for you, he continued, stroking his chin with his fingers, a dear friend has requested that I keep you here. He is most eager to reacquaint himself with you. My heart went still at his words and I felt myself begin to tremble. Though I tried to master my emotions they must have shown upon my face, for Don Francisco chuckled at my reaction. Yes, I thought you would remember my friend. You are in his debt, as I understand it. You should know that he only accepts payment in blood. I should not be surprised you would be in league with that devil, I cried, anger surging to overwhelm my fear. Do you do this work for him? He has worked his black magick on you as well. Don Francisco scoffed at my rage. Don’t be a fool, he said. He is one of the great minds of this new world. A philosopher of existence to rival Magnus. It was he who taught me the secrets of the philosopher’s stone. But enough chatter, young Diego’s vial is full and I have much to teach him. Tell me, then, I am given to understand from my friend that you can survive for quite some time without food or drink. We shall see, at any rate. His laughter, grim and cold, echoed down the halls of the passage long after he had disappeared from sight. I was unable to stop myself from snarling and cursing like a rabid dog at him, but as soon as the sound of his mocking had vanished from the air I started to weep, for the Stranger was now on his way from Cuzco, and with him came my doom. There were several hired men who passed through the Faulkenbourg Place in the following years. None of them stayed for long, though none admitted to feeling any odd sensations while living in the house. It was the nature of job that there would be so much overturn, at least that was what David’s father told him. At the same time the farm prospered and, along with the rest of their neighbors, their family had money to spend. They put electricity and plumbing in the house not long after, removing the last vestiges of its homesteader roots. What truly marked the passage of time though was the worsening of his mother’s condition. There was the day when she ceased to rise to see he and Eric off in the morning, the day when his father started to make their suppers after he came in from work, the day when she could no longer walk without help, and, worst of all, the day when he had to keep score in their nightly game of gin rummy. Though it was never said by anyone, David understand that these were the way stations on the path to oblivion, that his mother was dying, as Albert Faulkenbourg had died, as the steers did when they were sent to market in the fall. Death did not seem a strange occurrence to him, not when he was surrounded by it daily. He assisted in killing the hens and pigs when the time came each year and had spent many an afternoon watching hawks lazily circling the sky above a tractor as it moved through the field, stirring up the mice and voles below. This, he understood, was a different kind of death, a momentous one, the others merely profane. It wasn’t the fact of the death that told him this, dying seemed much the same regardless of who or what was doing it, it was everyone else’s reactions to it. Visitors that came to the farm, even the various hired men, would speak in hushed tones or with a forced joviality when his mother was about, her condition obvious at a glance. They would not meet her eyes and then stare at her when they thought she wasn’t looking. David suspected she noticed it all, though she never said. His father, taciturn by nature, turned ever more inward as his mother’s condition worsened, some days speaking no more than a dozen words. Eric, too, retreated within himself, passing his hours at home in his room, not even spending time with David. He was hurt by this change in his brother, for in their younger days they had been inseparable. Unlike the others, David was drawn to his mother, spending as much time as he could with her. He became the one who unfailingly helped her around the house as that became more difficult. He found reasons to be near her, to touch her, crawling into her lap to sit, though she found such contact painful in her condition. His father would yell at him to leave her be when he would see him sitting in her arms and he would slink away, only to return later as soon as his father had gone away. The smell of her fascinated him, musty and rank, as though an unseen decay had already begun within her. As the end neared and she spent more and more time in bed, neither sleeping nor truly awake, David would secrete himself in the hall outside her bedroom and stay for hours listening to her labored breathing. He was fourteen when death granted her the peace life had not. Just as her illness had changed and reordered the cosmos of the farm, so her passing did again. His father withdrew ever more inward, working blindly in the fields, and in the evenings retreating to his office or to shop, where he would tinker mindlessly on some project or another. It fell to Eric to take care of them, once the neighboring wives stopped bringing over meals they had prepared, getting David up in the morning for school, helping him with his lunch and making supper for them when they got home. It was a role he resented for the burden it placed upon him, and yet fiercely protected whenever David would try to care for himself. For his part, David felt lost in this new world, so he avoided both his father and brother as much as he could. He would wander among the three rows of trees, evergreens and caraganas, which divided the farm from the road, playing in imagined realms in the shade of the branches. Days when he knew the farm hand was out working or in town, he would take his bike and ride the mile to the Faulkenbourg Place, sitting in one of the rooms on the floor, staring off into nothing. In those long hours he felt it speak to him, its soundless reverberations echoing through the center of his being. Even as he turned fifteen and started high school, a time when he knew he should have moved beyond these childish things, he continued to venture to the house, its very presence reassuring him. One Sunday, with his father and brother having retreated into their respective worlds and the farm hand gone home for the weekend, he went over to pass the dreary afternoon. He stayed for hours, losing track of time, watching the sun move through the sky by the changing light coming through the windows. Though he knew he should leave, that the farm hand would be returning soon, he could not bring himself to stir from his reverie, until he heard the truck wheels on the driveway. In an instant he was on his feet, sweat on his forehead and panic in his mind. He stayed frozen for a moment, unsure of what to do, knowing only that he couldn’t go out the front door without being seen. The windows were no good either. He would need time to get their screens off and their being open would be evidence enough of his presence. Had he been a little older and a little more confident he might have met Grant at the door with an apology and some excuse – no butter in the house – which he would likely have accepted without question. Unable to think of anything else, he fled to the bathroom, climbing into the tub and ducking down so that his head did not peek over the side. This proved to be a poor hiding place, for after the long drive from Bonneyville, the first thing the farm hand did was go to the bathroom. He had his fly unzipped before he noticed David. “Goddamn Christ,” he said with a jump. For a terrifying moment David thought he was going to hit him. Instead he walked out without saying another word. David could hear him on the phone to his father. He stayed where he was, letting the disaster continue to unfold, knowing that Grant was on the other side of the door if he tried to leave. In a few minutes he heard another truck pulling into the yard and the front door opening, the screen door clanging against the side of the house. No words passed between the two men and then his father was there, looming above where he lay crouched miserably in the tub. His father leaned down and cuffed him hard on the ear, the other side of his head hitting sharply against the tub. Without needing to be told David got up and followed him out, past Grant whose eyes he could not meet, and then home, neither of them speaking. 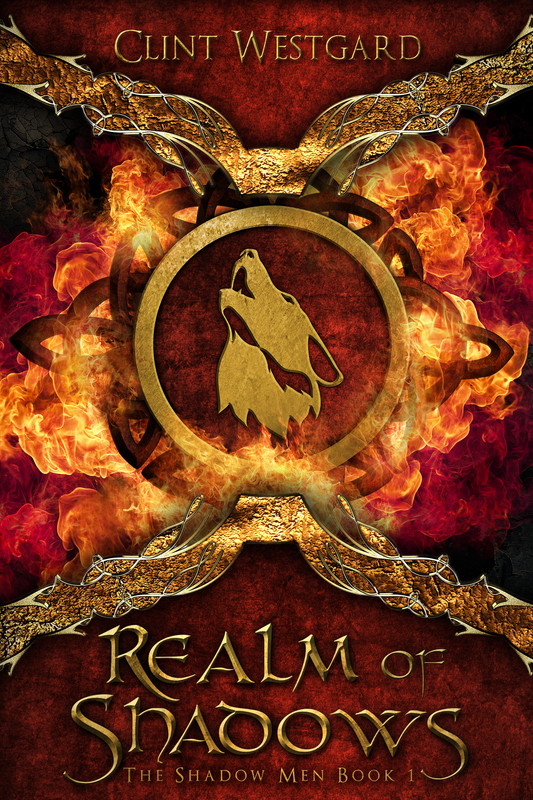 Discontent festers within the realms of Craitol and Renuih, fed by battles and intrigues carried out in the shadows. As rivals and apostates struggle for power, a new and more powerful menace looms on the horizon. For, in this world of shadows, it is the Shadow Men who stand apart, threatening the existence of both realms and exposing long simmering conflicts to the light of day. And now they have gained the secrets of the Council Adept’s alkemya. Caught in the middle of this growing hostility is Masiph id Ezern, unfavored son of the Imperial Vazeir. As he tries to forge a path for himself within the empire, he finds himself drawn into a conspiracy against the emperor and his father. With the rains coming to the desert, the choices he makes will have consequences that reverberate across all the realms. The first part of The Shadows’ Dance. The second volume, The Passing of Days, will be available in 2014. It had been raining on and off throughout the morning, a band of dark, heavy clouds settling over the city. For the moment it had halted, though there was a slight mist in the air. A miserable day, biting, with the wind and a damp that rotted at the bone. Disciple Hieran tramped, disgusted, through the streets to the Morning grounds, his foul mood made worse by the sight of two palanquins passing him on the road. He should have been used to it by now, but it still galled him that the Disciple of the Adept of Lastl did not have the coin to afford a rented palanquin in the rain. He cursed, not the first time, the Council for joining him to the greatest miser in the Realm. Not just a miser but a doddering old fool, more interested in his scrolls and specimens than the alkemyc arts. So, rather than practicing the art for which he had suffered years of training and disappointments, Hieran spent his days as the Adept’s errand boy. No, it had all been disappointment and dreams denied since he had come, a supplicant, to the Council eight years ago. He had barely been a man then, though he was already a thaumaturge of some repute in his village Quilran, near Takyl. People came from villages over two days’ journey away just to have him heal their broken bones and the like. Unaware that there were men such as he in villages across the Realm, though few who were prodigies in thaumaturgy as he was, Hieran got it into his head that he should appeal to the Council to join their ranks. And so, at fifteen, he had set out from home for Craitol, the Qraul’s city, to plead his case before the Council of Adepts. It was a harrowing journey for one who had hardly gone more than a day or so from Quilran. He spent a night in Takyl and was robbed and beaten and then spent another week on the streets of the city, begging for food and trying to find someone who would pay for his skills. When he had gained what he thought was enough coin for the journey he left Takyl, setting out for Craitol. His first two nights he spent at the roadside inns eating and drinking his fill and taking a girl to his room, only to find that his funds were nearly exhausted and the opportunities to earn more, which he had foolishly assumed would be there, were nonexistent. The rest of his journey he spent his nights in ditches under Senteur’s heavens and even had to spend two days outdoors in Craitol itself until he managed to convince the gatekeepers at the Council’s school that he was not some mere vagrant. Fours years as a pupil passed with rigorous study of alkemya and its related arts. When he was deemed ready for elevation of rank, he submitted himself to the Council for testing, a grueling two-day affair where he had to demonstrate his abilities at drawing forth the astral aspects of various elements and shaping them into seeds of alkemy. He was judged to be of the highest proficiency and was admitted to the Council’s inner circle, though they felt him lacking in some critical faculties and so named him a Disciple rather than an Adept. He should have been happy, for most who passed the tests—and there were many who did not—were left to the Council’s outer circle to pass their days as unjoined conjurors, little grander in the scheme of things than a village thaumaturge. But instead, he was crushed by his failure to be named an Adept, a loss made all the keener by his joining to the Adept of Lastl. That hurt had not been lessened by the passage of time, mostly because his master Tehh was a man he thoroughly despised. And he had to suffer to submit, all his skill, the very astral of his being, to the service of that man, never his to be the guiding hand. The Morning Grounds were not far from the Palace and the coliseum. Nearest the street was the public match ground and attached to it were the Morning’s betting and performing halls. Beyond that, and behind a wall, were the barracks and training fields for the players and a larger performing hall where the Morning’s musicians, actors, and dancers would put on their grander performances. There was a match set for the afternoon, the Morning’s third rank against Midday’s, which was the reason Hieran had to suffer the rain. He praised the Gods that he would not have to endure the stands. He went to the wagering hall, which was empty but for a few bettors and the usual hangers-on, stopping first at a stand near the entrance to buy a dala drink to warm himself, before beginning to wander around. He didn’t have long to wait – a bookmaker approached him almost immediately. The man was short and a little stout, with a mess of hair that was starting to thin. His face was guarded in the way all such men were and he nodded a greeting at Hieran, which he returned in kind, neither of them particularly caring for the other’s name. “What have you?” Hieran asked. A merest shrug of the shoulders. How am I to keep track of the comings and goings of these players? The bookmaker waved his hand, “Pssh. He wasn’t much of a player, you know. Could hardly manage a toss. He wasn’t moving up the rankings, surely. No one’s going to notice him missing, I can assure you of that. “He was around,” the bookmaker said. “He was a Palace guard,” the Disciple said, followed by a shrug from the bookmaker. What of it? Another shrug, though Hieran thought he detected some nervousness about the man. The wrong answer was now a dangerous proposition. If people were having Palace guards murdered they would not hesitate to do the same to an odds man. Hieran stared hard at the man, waiting. “I wouldn’t know,” he repeated. “On what basis?” the bookmaker demanded. It was Hieran’s turn to shrug. What did it matter? He did not take his eyes from the bookmaker’s. “He has no debts with us,” the bookmaker said at last. The bookmaker had turned to stone, not even blinking. He did not answer. Coincidences and more coincidences, all very convenient. Fennen’s debts gone though not paid, and he murdered. A no-rank ball player vanishes at the same time and no one knows a thing about him past or future. In fact, no one knew anything – how long he had been with the Morning in Lastl, who he had spent time with, what he had done. He had wandered through the betting hall and then over to the theater where some actors were running lines for that afternoon’s performance and received much the same response. Everyone knew who he was speaking of, but whether they knew what had happened to him or not, they kept silent. A series of shrugs and avoided glances was all he got in return for his questions. How thick they all were. It was to be expected, of course, and no one had bothered with coming up with a lie yet, which suggested that they did not attach any real importance to the man’s disappearance. They simply saw no need to cooperate with a Palace man. It was not unheard of for a stringer to vanish without reason. They hardly made enough to keep themselves in food, and at some point most were forced to admit that they were not going to rise through the ranks. A merchant wanting to have his rivals good stolen or anyone looking to have some brutality done to someone would come looking for just such a man, and if the money was good enough, well, why bother coming back? He went into one of the barracks and began speaking to a hungover stringer, having talked his way past the gatekeepers and into the compound. The player’s face was such an ashen color that Hieran felt ill just looking at him. He wasn’t getting much out of the fellow beyond grunts and “Lazul was a good sort,” so he decided to press on and see who else he could find that might volunteer more, or at least let something slip. He was met at the door by two hired swords, northerners by the look of them, who blocked his way with their short blades. “I am from the Palace,” he told them as though unfurling a passkey. They did not reply, one of them simply stepping aside to allow him room to pass, jerking his head as he did so. Hieran considered arguing the point but decided against it and allowed himself to be led outside. The two swords walked on either side of him, neither bothering to sheath their swords, leading him along a path deeper into the Morning grounds. They were given a wide berth by everyone they passed, which was disconcerting, and he was taken to what he assumed was the estate of the Morning Chair. It was a sprawling building, three storied, with balconies and what looked like some walled gardens behind. A servant let them in, observing their passage without expression. Panic seized Hieran once he realized that they were not going to throw him off the grounds. Instead they led him downstairs past the wine cellar, and through another basement before coming through a door to a cell. They stopped and one of the men unlocked the door while the other leveled his sword at Hieran. He glanced about, trying to get what bearings he could in the gloom. The smell of earth was heavy in the air. Once the door was open, the man gestured with his sword for Hieran to enter to the cell. He almost refused, ready to make his stand there, but thought better of it. It wasn’t like they would kill him; the Chair of Morning could not afford to defy the Gver in such a way. The whole situation was bizarre. Why, if he was on the right track, draw such attention by imprisoning a Palace representative? Stepping into the cell, he started to say, “This is outrageous, you understand,” and then one of them struck him hard on the back of the head. He fell to the floor with a grunt. Another blow and he felt as though he were floating atop an ebbing tide. He tried to look up at his attackers but he had no sense of whether he was actually moving his head or not. All he could see were waves of color that swirled across his vision. Another blow and the colors went, the gloom descending to dark. When the object appeared in his pasture Frank was convinced it was alien in origin. Not only was it unlike anything he had ever seen, without solid shape or form, constantly shifting, it hummed at a pitch just beyond the range of his hearing. 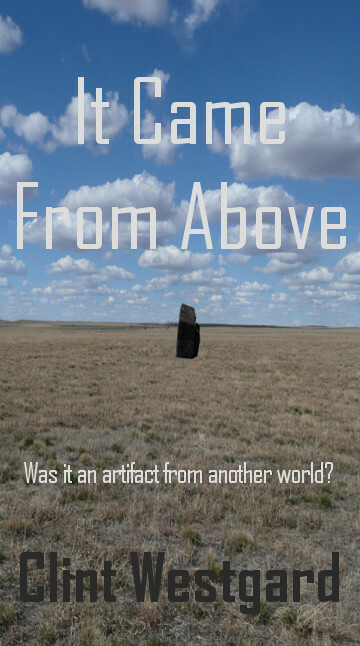 It seemed impossible that it could be anything other than an artifact from space. When the Concern, the corporation conducting secretive research in the area, claimed it as their own he was absolutely certain of its true nature and of his need to get it back at any cost. The wind did not begin to subside until late the next evening and it was not until the following morning that they awoke to a day glorious and calm. He had work to do around the yard in the morning, chores and repairs on one of the tractors, so it was only after lunch that he left, telling Emma that he was going up to check on the water at the lease. The dugout there had been low the day the object had been taken and there had been no rain since. Though Emma had given him a look as though she suspected he were up to something, he had no intention of confronting the Concern about the object. He had thought about it the night after their argument and throughout the next day and had decided against it. He knew Emma well enough to understand which of her threats she would make good on. Stubborn as he was, even he could recognize that the object was not something that was worth risking his marriage. The aftereffects of the storm were evident everywhere as he drove north. Ditches were filled with drifts of a fine powdery earth, almost like sand and several of his neighbors’ yards had trees that had been uprooted. There was a grain bin lying crumpled and warped atop Werner’s hill, an amazing site, for the nearest bins that could have been carried here were at Barthels, over two miles away. None of the power lines were damaged, as far as he could see, which told him that it had been blown high enough to clear them. The fences along the road were all filled with detritus, anything that hadn’t been weighted down had been scattered across the country. The dugout in the lease was as low as he could remember it being. Two cows were standing right at its center with water up to their waists when he drove up. Unless it rained in the next few days he would be trucking water up here by next week. He swore to himself thinking of how much time that would take. Three quarters of an hour each way, with half an hour to fill up the water tank. Two trips every other day. That would be three mornings gone a week at least, to say nothing of Tommy’s pasture, which he would be hauling water to soon enough as well. He was about to head home, his head filled with worry for what the rest of the summer would bring, when the ground where the object had been caught his eye. The grass had not recovered at all, had in fact turned a brittle shade of brown. It cracked underneath his feet as he walked across it, and each step was marked with the outlines of footprints. He could feel the color go from his face and he crouched down, as much to steady himself as to inspect the grass. He prodded the individual strands delicately with his fingers and they crumbled to dust at his touch. Cursing under his breath, he pulled the knife from the front pocket of his jeans and dug into the ground to expose the roots below. They too were utterly desiccated. He said nothing when he returned home for supper, though he could feel Emma’s watchful eye upon him. They went to bed wordless and he again found himself staring at the ceiling waiting for sleep to steal him from his thoughts. That night it would not though. Try as he might he could not forget the ruined, brown patch. Would anything grow there again? And was the object having the same unseen effect upon him even as he lay there? It was a terrifying thought to say the least. The next morning he awoke tired and with an aching head. His jaw had been clenched tight through his fitful sleep, his anger not dissipating, even through his tumultuous dreams. He drank his coffee and had his porridge in silence, Emma watching him as she ate her toast. When he was done he pushed aside his plate and his cup and stared at her. Their eyes held for a moment and then she closed her eyes, warding herself for a blow. Emma offered no reply, her face impassive, as he left the house, letting the door slam in his wake. He went into town after he was finished with the chores, getting some parts at the Agro Centre. On his way back he turned off the highway and headed down the road to the Baas. The three long barns loomed up before him, still the same white they had been when the Dutch company had been running pigs there. A chain link fence surrounded the yard now, which also had a dozen or so trailers near its entrance that acted as offices for the Concern employees. The trailers formed a sort of informal blockade between the gate and the barns where the research was done. There was also a small hut at the entrance where everyone had to check in before being allowed into the compound and Frank stopped there, asking to speak with Hildeck. He was sent to the largest trailer where he found the manager and a young woman he did not recognize. “Frank, this is Katy Miles. She’s actually working on the project that, uh, you encountered,” Hildeck said as he motioned for him to sit. “Yes,” Frank said leaning forward in his chair for emphasis. Frank did not reply, standing up and walking out the door, leaving Hildeck to stare after him in disbelief. He got in his truck, spinning out as he turned around to head back out to the road, slinging gravel across the yard. He flew home, pushing the needle to 160 kilometers, oblivious of the other traffic on the highway. The radio was on but he talked over it, cursing Hildeck and the Concern for stealing the object, and Jennings for letting them. It was clear to him now that they had no more idea of what the thing did than he. When he pulled into the yard he saw that Emma’s car was gone. He sat in the truck for a moment unable to quite process what he was seeing and then ran inside, calling her name. There was no answer and as he looked through the living room he saw that all of Colton’s toys were gone. There was a note on the kitchen table that read: I’ve gone to Mom and Dad’s for a few days .I’ll call on Saturday and we can talk. He slumped into a chair holding the note up and looking at the words, not reading any of them.